Hundreds of protestors gathered at the state Capitol yesterday to pressure Cuomo on climate change - a day after Earth Day. Some, including Green Party gubernatorial candidate Howie Hawkins, were arrested inside for civil disobedience, while outside, the crowd was joined by Cuomo's Democratic primary challenger, actress and activist Cynthia Nixon. 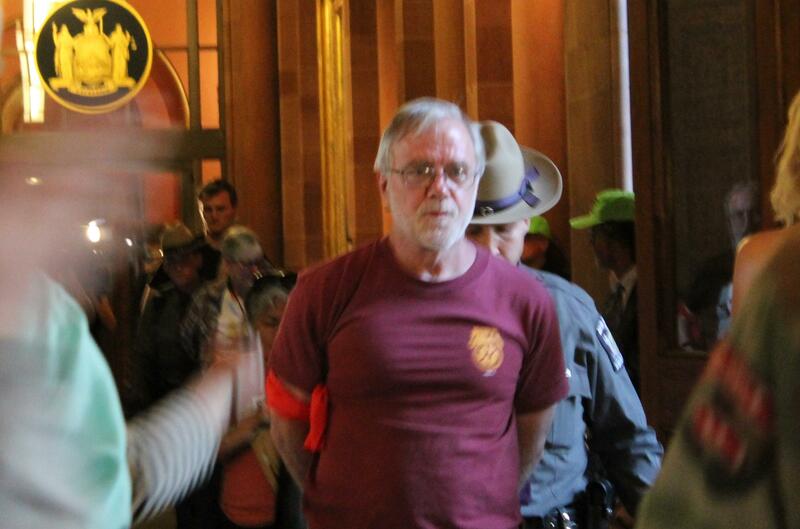 Gubernatorial candidate Howie Hawkins was one of more than 50 people arrested at the state Capitol Monday. Two of Gov. 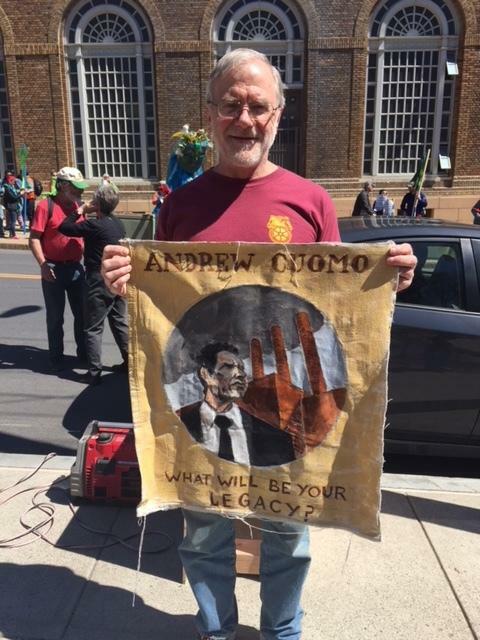 Andrew Cuomo’s political opponents were at an Earth Day rally on climate change attended by hundreds at the state Capitol Monday, where they said the governor’s energy policies are far from adequate. Yet another candidate has announced a run for New York governor. Syracuse’s own Howie Hawkins is seeking the Green Party nomination for the state’s top job. Four years ago, Hawkins earned more than 184,000 votes, which he says pushed the state in new directions. Today, Howie Hawkins announced his third consecutive run as a Green Party candidate for Governor. We heard from the candidate on the issues that he will be highlighting in this run.